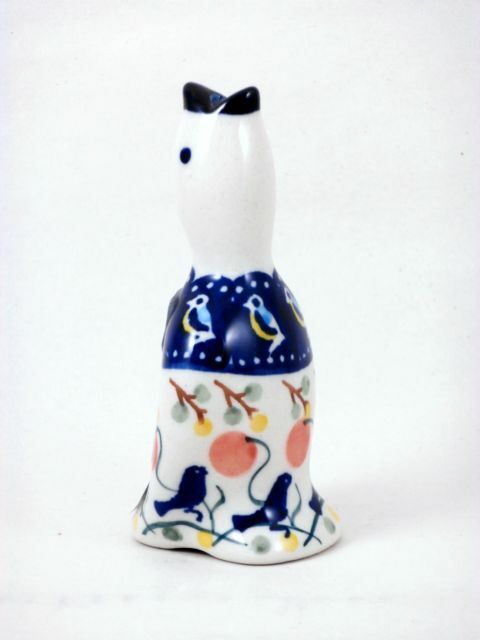 August 2013, we asked Manufaktura to make us a Polish Pottery Pie Bird. And here it is! This is a fun flash back to the past! Pie vents for both meat and fruit pies have been used since Victorian times; originated in England during King George III reign. He loved meat pies but detested soggy crust. The King’s baker, being creative or perhaps fearing for his head, devised a small clay apparatus, much like an inverted funnel, to prop the pie crust up and away from the juices of the pie, keeping sogginess at bay. Earthenware manufacturers throughout England were quick to pick up on this ingenious invention. The earliest pie vents were unadorned “chimneys,” wider on the bottom to capture steam and release it through a hole in the top. Decorative pie birds began to appear around 1930’s-1940s when they were produced in a multitude of designs. Today they are more popular as gifts and collectors' items rather than simply utilitarian kitchen tools. Question: Is the nursery rhyme "Sing a Song of Sixpence"…..four and twenty blackbirds, baked in a pie..., the inspirations for pie vents designed to look like birds? Use your Polish Pottery Pie Bird with a double crust pie. Set the Pie Bird on top of your bottom crust, add the pie filling, then place the top crust on the pie, with the Pie Bird head poking through. While baking, the steam can escape through the Pie Bird's mouth! Pie Bird - AS38 Oh!